For good reasons Falkenstein is showing up high in international rankings. 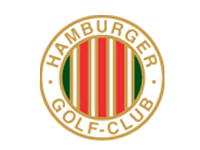 Located on the fringe of Hamburg near the river Elbe, the club is absolutely beautiful. Hillier than you would expect in northern Germany. Tree-lined narrow fairways, heather the natural decoration. Bauhaus-style clubhouse will appeal to fans of classic architecture. It is a great course! Along the holes there are beautiful old trees which really make the atmosphere in one of the oldest golf clubs in Germany. The holes are tough depending which tee box is played but very enjoyable. Bestes Layout in Deutschland. Alt gewachsen und setzt auch aus diesem Grunde den Standard. Sehr schön gepflegter Platz, auch spielerisch anspruchsvoll. Es gibt viele neue, nette Plätze in Deutschland. Aber von den knapp 200, die ich bisher in meinem Heimatland gespielt habe, ist der Harry Colt Klassiker der beste.